Below you’ll find pictures and descriptions of the obstacles in our Extreme Elements location. Keep checking back as we keep building and adding new stuff. 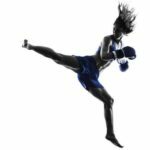 As always, check with our staff on progressions and fun variations on each of the obstacles. A multi-use obstacle for practicing everything from quadrupedal movement on all fours, balance, or even ring dips and L-sit holds. We refer to this upper body and grip buster as the LVL (because that’s what they call it at the lumber store). Another upper body and grip buster. 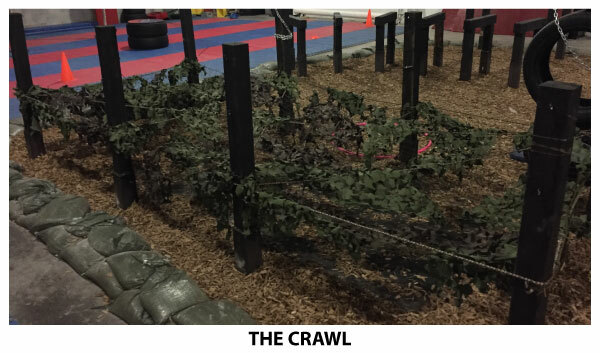 Often times used in our more advance obstacle courses, this will definitely challenge your grip strength. This behemoth, while seemingly easy, can be quite difficult if running up the flat surface. For added difficulty, try not to grab the rope rails and use the rope on the way down instead of the ladder. 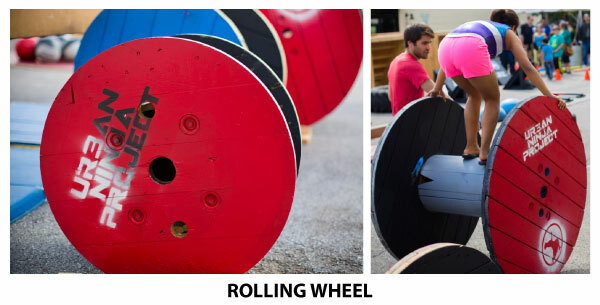 We have 3 different sizes of Rolling Wheels. Start with the Large, which is easiest, and then go scale up to the Medium and Small. 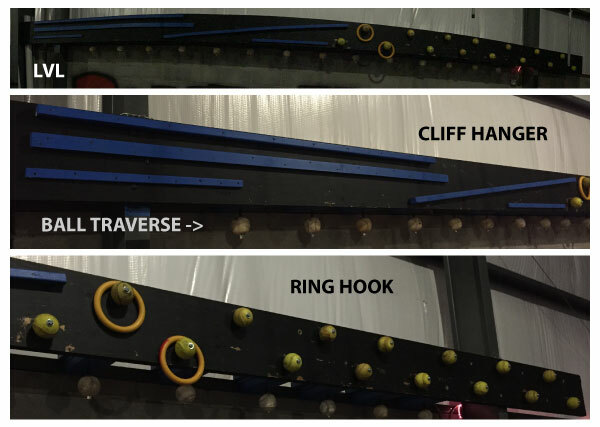 Traverse half the gym swinging from ring to ring. 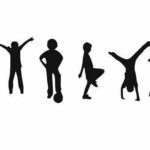 To make it more challenging, transition to the Trapeze and swing across the entire gym. 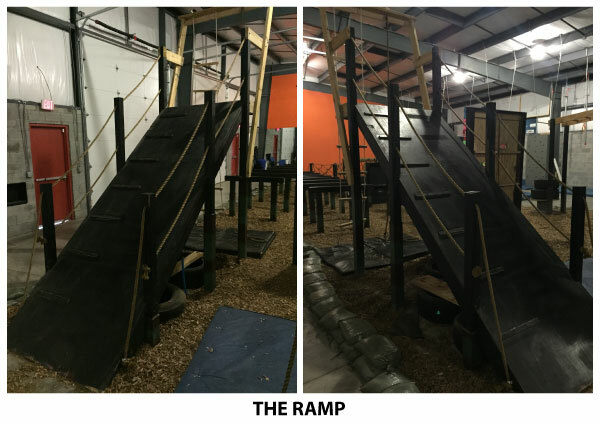 More pictures and descriptions of the rest of our obstacles coming soon!! !